The largest room at SLCC is the Grand Ballroom. Salt Lake Comic Con took place last weekend and it was a blast. 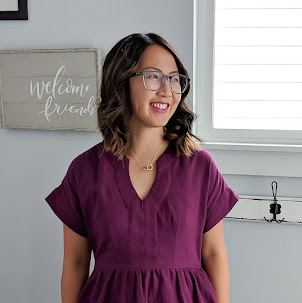 This year, the event was a vast improvement over previous events and the organizers did a great job pulling in big name celebrities while maintaining crowds. Andrew and I weren't planning on attending this year until my awesome cousin, Ellie, decided to purchase a VIP ticket for my birthday present. Andrew ultimately decided to join us when Chris Evans was announced. 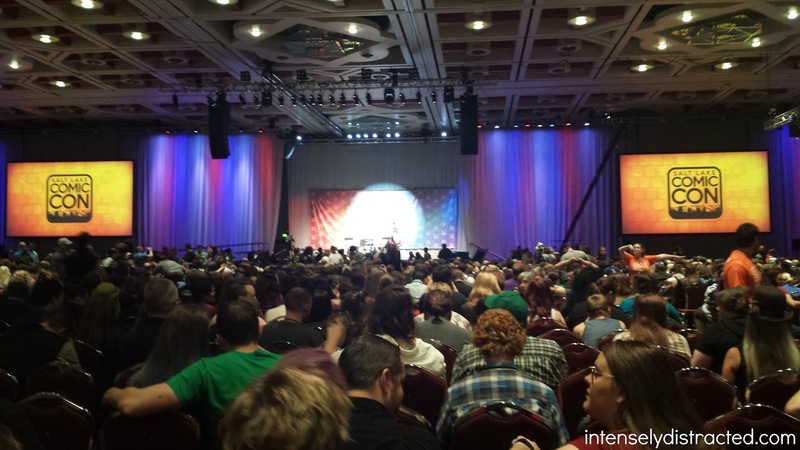 He purchased a VIP ticket as well to ensure getting seated with us in the Chris Evans panel. 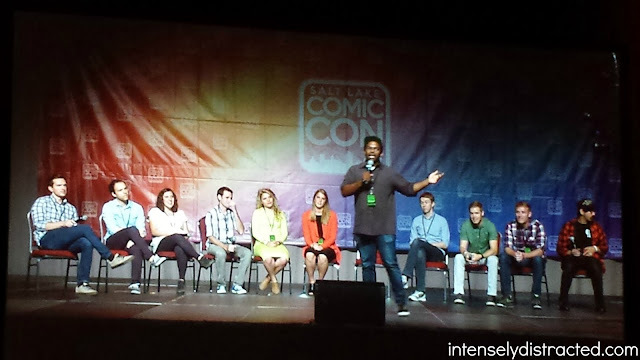 This con was the best of the Salt Lake cons thus far. 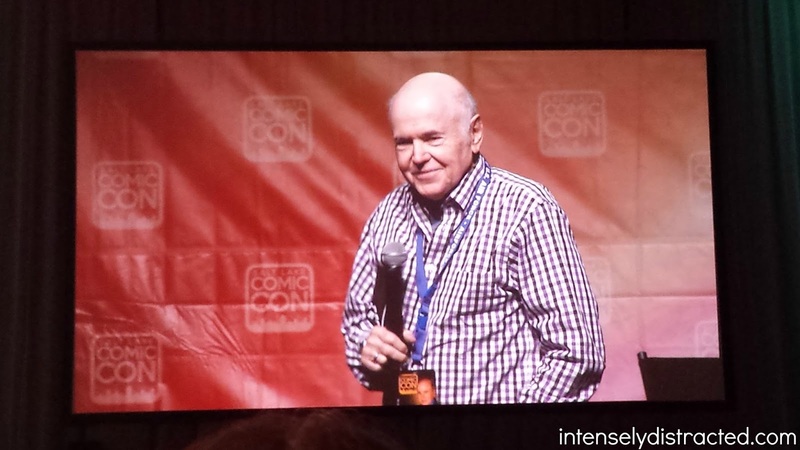 Walter Koenig removed his baseball cap so we could see his face. Studio C greeting the crowd. Thursday was the first day of the con and Ellie and I managed to attend a few panels before calling it a day. We didn't have to worry about lines on Thursday so we were able to easily walk into the Grand Ballroom to catch the last part of Walter Koenig's panel which was enjoyable. Up next was Studio C which drew in a large crowd. They showed us a new clip and were awesome with their Q&A. 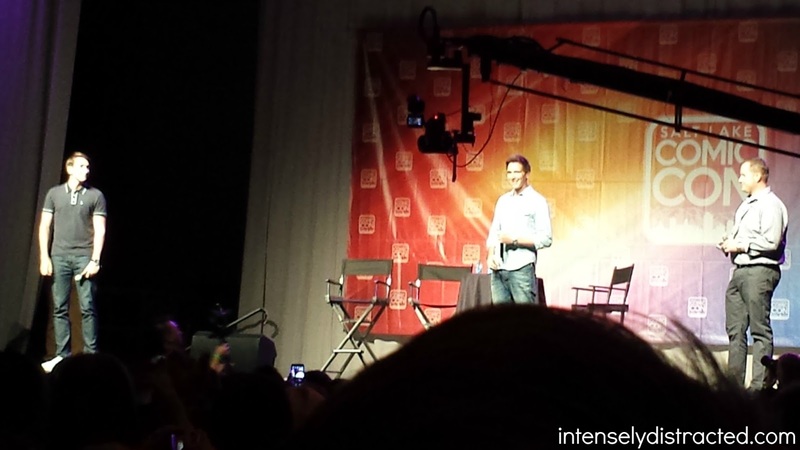 James and Oliver Phelps' first time at SLCC. James and Oliver Phelps were definitely the highlight of the day for me. They were ever so charming and genuine. I loved hearing them talk and the banter between them was entertaining to witness. There were some great Fred and George moments for the Potterheads out there too. They revealed to us that they never actually switched roles while the cameras were rolling which debunked what most of us thought we knew. Ellie and I later saw one of them (I think it was James) walking by one of the lines we were in and we proceeded to fangirl as he walked away. Ellie spotted him first while it took me a little longer to process who he was. We didn't do a lot on Thursday, but it was a very enjoyable day. We were able to squeeze in a photo op with Jenna Coleman which was also another highlight of the day. 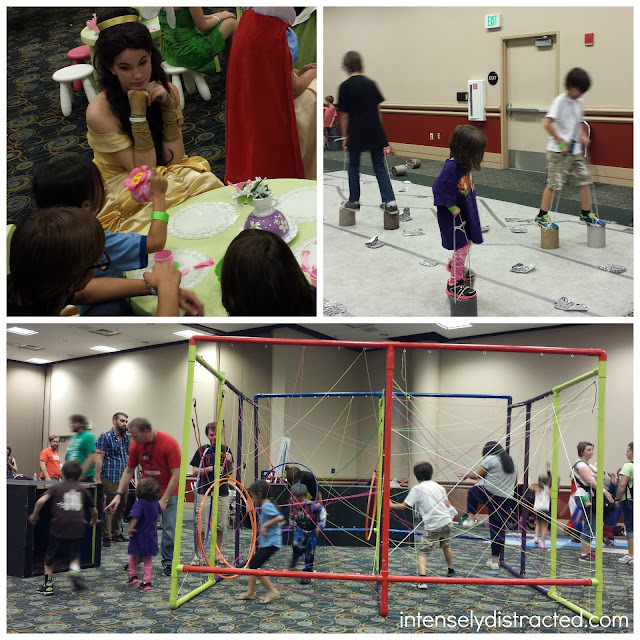 We checked out the activities in Kid Con which was in a separate room this year. It wasn't overly packed so the kids were able to make some buttons, join in on their own galactic training, and have tea with some princesses. I was pretty impressed with Kid Con this year. It was very well organized and everyone running the different activities made it super fun for the kids. Enjoying the activities at Kid Con. Thursday was so great with almost no lines and bearable crowds. We couldn't wait for Friday and Saturday to come back for more.